In Norman, Hurts is immediately the frontrunner for the starting job in 2019. OU had expected to have just two scholarship quarterbacks to start the season: redshirt freshman Tanner Mordecai, who played in two games in 2018, and five-star prospect Spencer Rattler, who arrives in June. Hurts’ transfer is huge for that reason, and for this: in addition to losing Heisman winner Kyler Murray, the OU offense also is without wideout Marquise Brown, H-back Carson Meier and four starting offensive linemen. 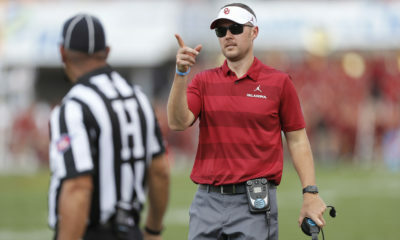 Having an experienced, battle-tested quarterback who can settle so many unknowns might be what allows the Sooners to compete for a fifth consecutive Big 12 Championship and a fourth return to the College Football Playoff. Hurts’ article didn’t discuss OU much, but rather described his time in Tuscaloosa and thanked those who helped him get where he is. Hurts graduated from Alabama in three years. He entered his name into the NCAA transfer portal last week. In his two seasons as the Crimson Tide’s starting QB, Hurts led his team to the College Football Playoff national championship game twice. The first was a loss to Clemson, the second was a victory over Georgia in which Hurts was famously benched at halftime in favor of freshman Tua Tagovailoa. 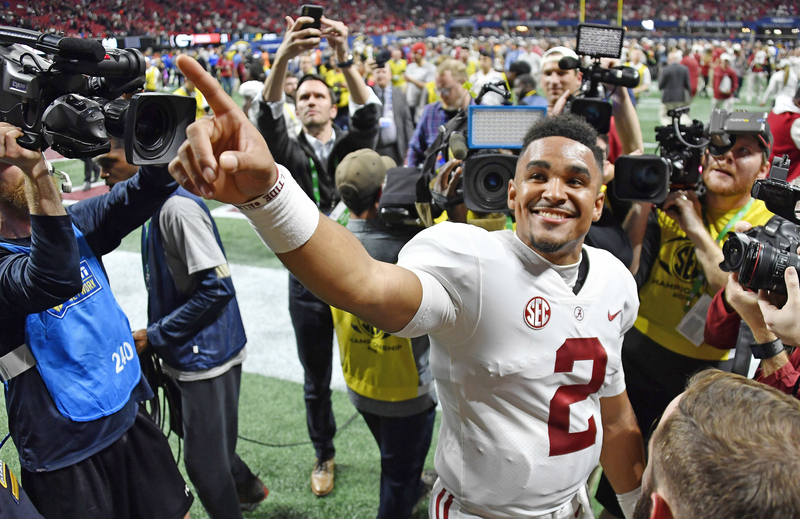 Hurts spent his junior season as Tagovailoa’s backup, but got some redemption in the SEC Championship Game when Tagovailoa was injured and ineffective and Hurts led his team to a fourth-quarter comeback over Georgia and another spot in the playoff. The 6-foot-2, 218-pound Hurts is a true dual-threat quarterback. He was a four-star prospect at Channelview High School in Houston, the No. 9 dual threat QB in the country, according to Rivals.com, and the No. 31 overall prospect in the state of Texas in the 2016 class. As a freshman, Hurts completed 240-of-382 passes (62.8 percent) for 2,780 yards with 23 touchdowns and nine interceptions (a 139.1 efficiency rating) while also rushing 191 times for 954 yards (5.0 per carry) and 13 touchdowns. As a sophomore, Hurts was 154-of-254 (60.6 percent) for 2,081 yards with 17 touchdowns and one interception (150.7 efficiency) while also rushing 154 times for 855 yards (5.6 average) with eight touchdowns. In 12 games as a backup this past season, Hurts was 51-of-68 (75 percent) for 765 yards with eight touchdowns and two interceptions (a 202.4 rating) while also rushing 36 times for 186 yards (5.6 average) and two touchdowns. 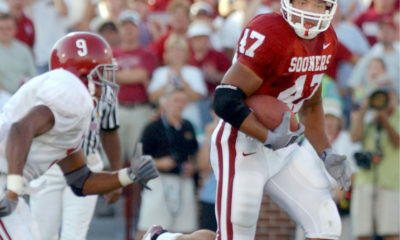 In his career, Hurts has thrown for 46 touchdowns and rushed for 22, amassing 7,426 yards total offense. Most important of all, Alabama went 26-2 with Hurts as the starter. Hurts visited the Sooners on Saturday amid visits to Maryland and Miami, where his previous coaches had migrated (Alabama offensive coordinator Mike Locksley is now head coach at Maryland and QB coach Dan Enos is now OC at Miami). Hurts’ visit and impending arrival at OU apparently didn’t sit well with backup Austin Kendall, who added his name to the transfer database last week and apparently intends to leave. Like Hurts, Kendall graduated from OU in three years. 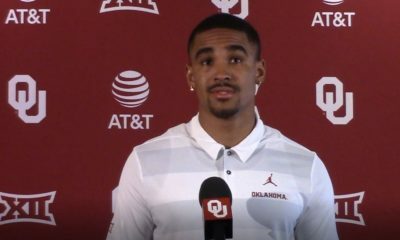 ESPN.com reported today that Kendall wants to transfer to West Virginia, but as allowed per interconference rules, OU coach Lincoln Riley is blocking his request for immediate eligibility. The Big 12 Conference doesn’t have legislation in place to prevent schools from blocking transfers within the conference who are seeking immediate eligibility. 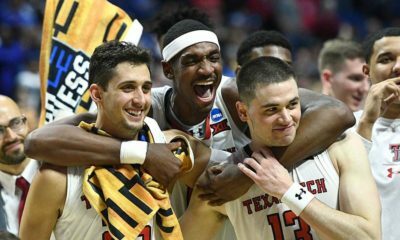 Under current Big 12 rules, without a waiver, Kendall can still transfer to WVU, but he’ll be unable to play until 2020. 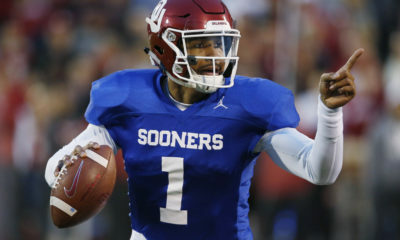 Kendall was backup to the last two Heisman Trophy winners at OU in Baker Mayfield and Murray, but Riley didn’t want to award the starting QB job to Kendall or anyone else without competing for it in 2019. Riley also is likely cautious about allowing Kendall to take his knowledge of the OU playbook to a conference rival.